PALPA, Sept 13: Valentine's Day and Ranimahal temple in Palpa show strong connection these days. Unlike in the past, crowd of young and old couples reach out to the temple of love on the love day. Known as symbol of love, the temple was established on 1954 BS by Khadak Shamsher, the then army general of Southern pole of Palpa, in memory of his beloved wife Tejkumari. And this is the reason why people are pulled here on 14 February. Palpa is home to a score of such spots that carry historic significance. However, due to the lack of awareness and advertisements, visitors are limited to only few areas. Tourism entrepreneurs feel that a lot needs to be investigated about Palpa's historical and natural assets and shared with the world. 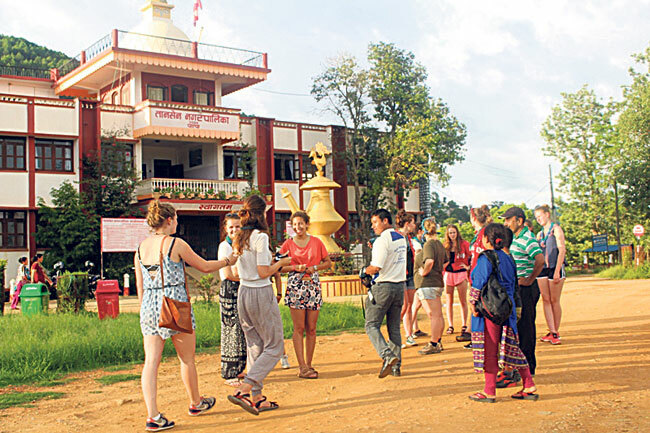 Locals too feel that if areas of historical and natural in Palpa are discovered and made popular through advertising, it can attract domestic and international tourists alike. 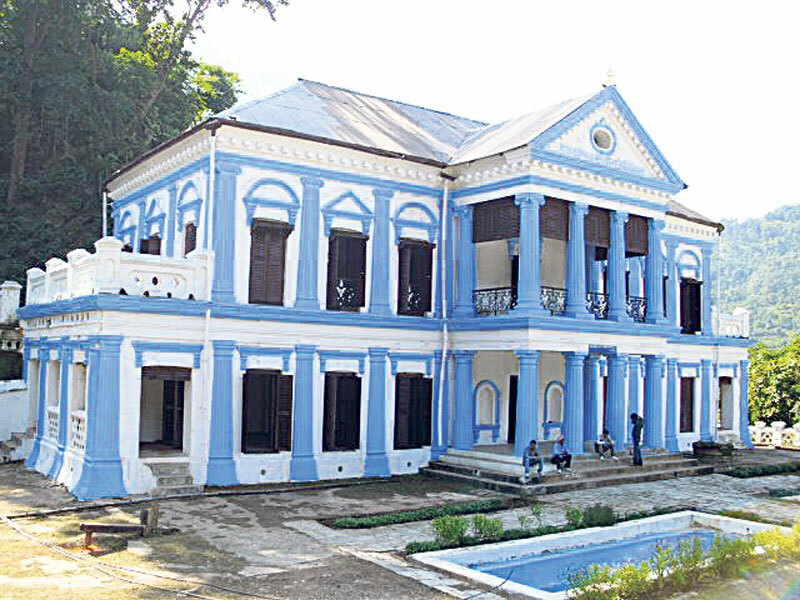 “Ranimahal, located in Baughagumba VDC alone attracts huge number of visitors. 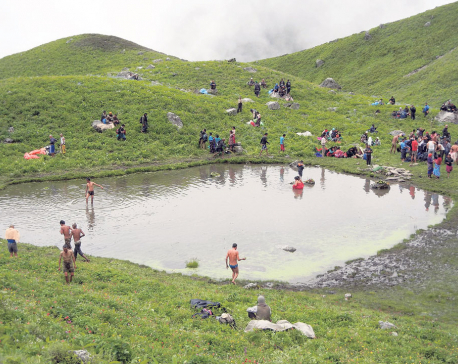 On the Valentine's day, it feels like a mega fair here,” Prabesh Poudel, a local resident said. “There are historic palaces, temples, schools and so on which could be equally attractive for tourists and historians. But, we have been failing in bringing them to light,” he added. Foundation stone of Ranimahal was laid in 1950 BS and was constructed in four years. It is also called Tajmahal of Nepal. Aesthetic beauty of the building, furniture and expensive decoration makes the palace a thrilling place to visit. It is said that Khadak Shamsher would spend nights alone in the palace and would cry in the middle of the night calling for his late beloved. He would be downed in sorrow while realizing the fact that his queen had already died. In illusions, he would act like he has freshly met her. Such stories make the visitors who come to the palace feel special about the place and the palace. “When they come here, lovers turn emotional. 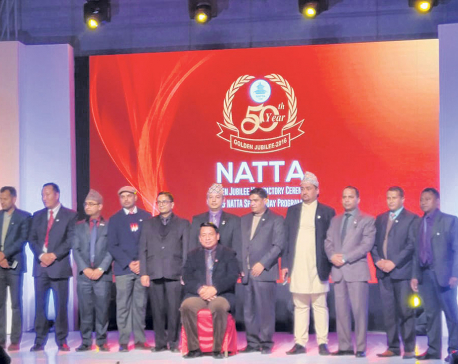 They make promises, vow to stay together for their life,” Poudel said. Apart from Ranimahal palace, Ribdikota palace, Amarnarayan temple, Bhagwatisthan, Siddhababa cave, Ribdikota palace, Bhairabnath temple, among other historic monuments are popular in Palpa. But historians have told little about these places. According to locals, it is only Ranimahal palace that is well reported. 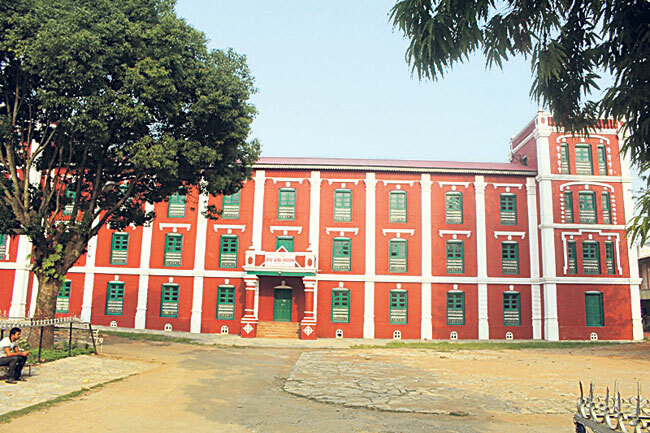 “There are many places in Palpa with historic significance and aesthetic beauty. However, we are still ignorant about their details,” says Poudel. One of the least known but important temples in Palpa is the temple of Kalbhairab. Its location is what people get thrilled at as one can see dozens of Himalayan ranges from here. The trishul (trident) in the temple premises is considered one of the biggest in Asia. “Though we have heard that there some books have mentioned the temple and its significance, we have not been able to figure these books that detail about its creation and significance,” he added. The temple built in pagoda style is nine kilometers away from the district headquarters Tansen. 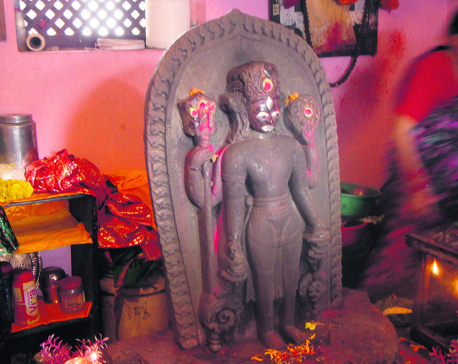 “What we know about it is the Palpali king Mukundasen had brought the statue of Bhairab all the way from Kathmandu and installed it at the temple and that god Bhairab was a part of the Machhindranath chariot,” he added. “People offer prayers at the temple praying for wish fulfillment and some also offer sacrifice when their wishes are completed,” he shared. 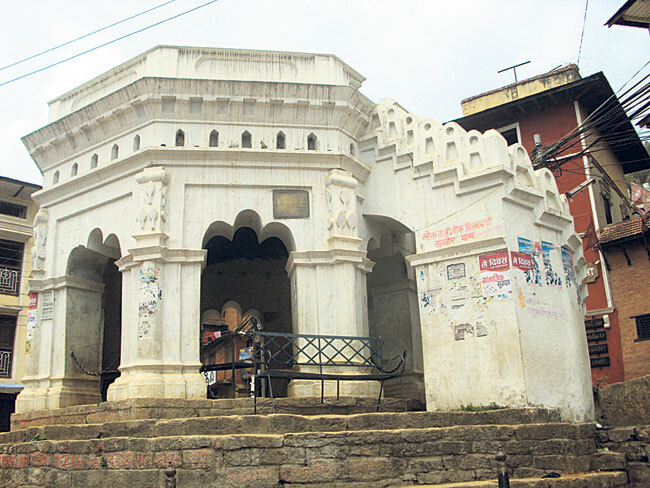 Churamani Timilsinna, another local, feels that tourists in Palpa would grow if sites like the Bhairab Nath temple and Rishikesh temple, among others are made known to the outer world. The Rishikesh temple is considered one of the four important religious Hindu shrines (chardham) in Nepal. “We need to target at bringing religious tourists here. The Rishikesh temple alone has potential to draw huge number of tourists,” he said. He added that religious tourists, since they stay for few days, in order to follow the rituals, quite benefit the local economy.